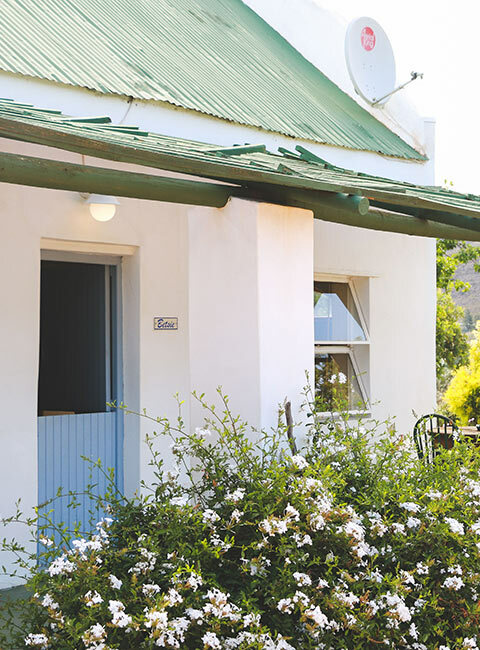 Located in the heart of Route 62, we are situated in the picturesque town of Barrydale. One kilometer from fantastic eateries and activities. We are a working farm with onion and carrot seeds as current crops. Come explore, hike, cycle, run and swim in our dams. We have four beautiful self-catering cottages on the farm. Each decorated and designed to bring you the ultimate boutique farm experience. 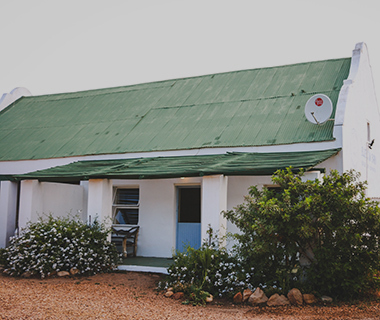 Our boutique cottages; Ansie, Betsie, Corlie and Donsie, are named after milk cows. Back when the farm was still a working dairy farm, owner Bertus Cooke's father gave a name to each and every cow, in alphabetical order. Bertus has proudly continued this tradition when naming the cottages. 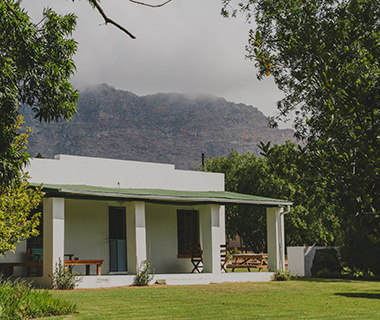 The Blue Cow Barn – Boutique Farm Accommodation is located on the beautiful Cooke family farm, which is visible from the road as you enter Barrydale on the R62 and offers exclusive boutique farm-style accommodation. Just follow the signs and visit the Blue Cow at the Barrydale Waterfront Coffee Shop, they will direct you. At this cosy spot you will find the most delicious coffee, cakes, breakfast and lunches. Well-known for their chicken cheesecake, all Hannette's food is made with love. We have blue and white sign boards around town, just follow them to our little piece of heaven. 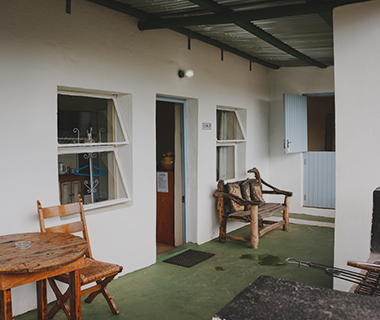 In total, our cottages can host 12 people in our 4 different boutique farm cottages. This bungalow has a toaster, private entrance and electric kettle.